I’m happy to announce that my podcast is now LIVE. 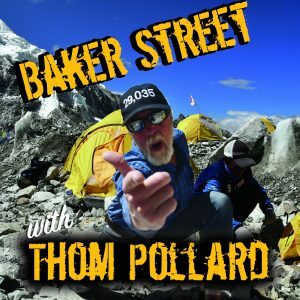 It’s called Baker Street with Thom Pollard. Why call it that? Well, have a listen and I’ll tell you! Thank you for your interest in the thoughts and words that I intend to share with you. Hopefully, it will make your day brighter and bring some meaning into your day. Occasionally search for me on your favorite podcast player. and absolutely-positively SHARE WITH FRIENDS AND FAMILY. Remember that we create our reality with the thoughts and intentions that we empower. Let’s keep it positive and make the world a better place.